This workshop will enable academic faculty to create more opportunities in the curriculum for students to be actively engaged in the learning process. 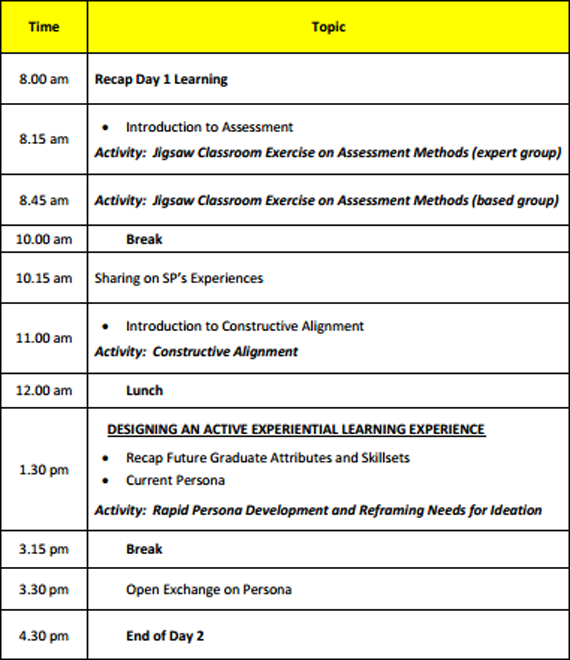 Participants will be provided with direct experience in how active and experiential learning can lead to more interesting and effective learning for students. 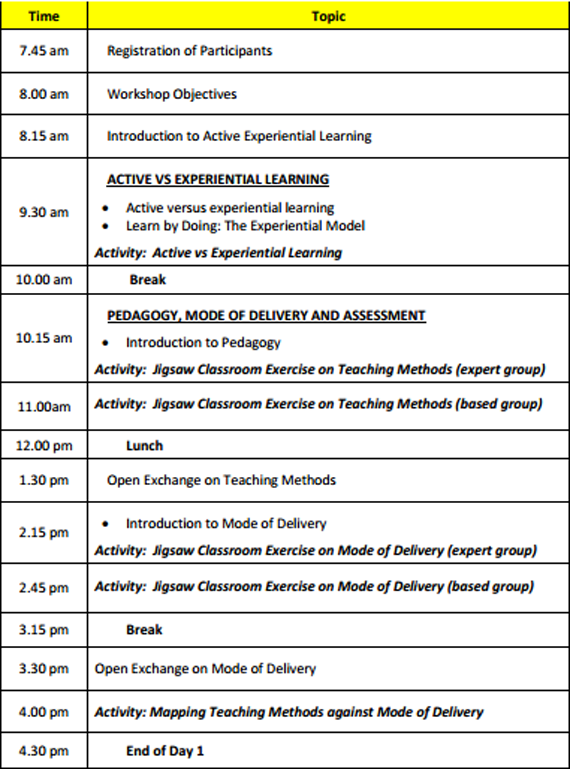 A range of active and experiential learning methods will be demonstrated, modelled and practiced in the workshop sessions. 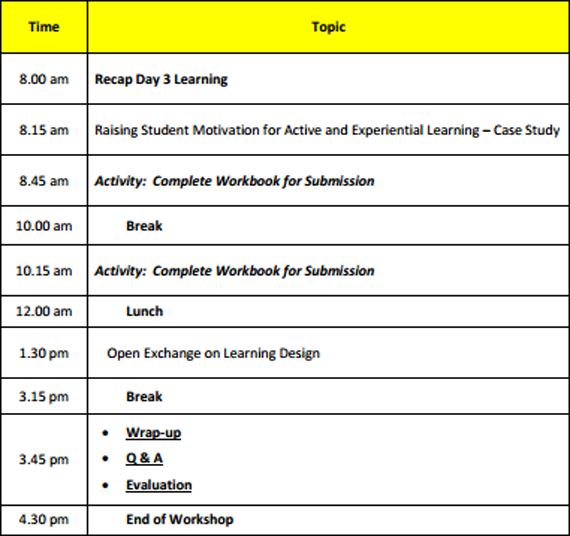 The programme participants must have completed Workshop 2: Designing an Integrated Curriculum. 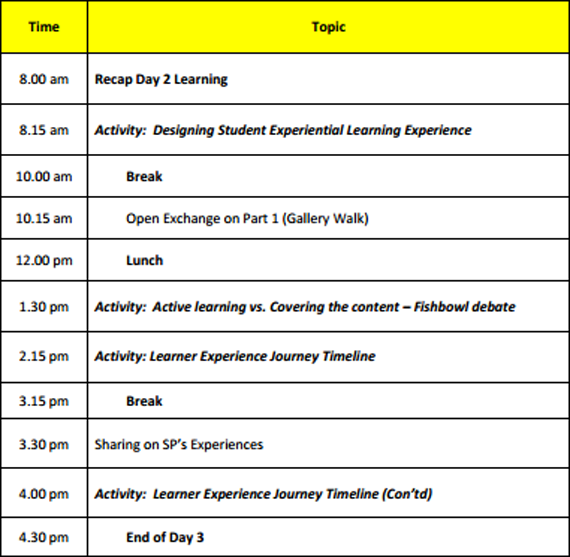 Reflect on your area of work and choose a Curriculum Design Project idea you want to implement, during and after the training, using “Active Experiential Learning” approach. Prepare a brief proposal with following details: 1) Project Title, 2) Who is this project for, 3) What core problem are you trying to solve, and 4) What are the challenges/opportunities in doing this project? Read article by “FelderandBrent(1987)Active-learning-vs-covering-thesyllabus to prepare for fishbowl debate.